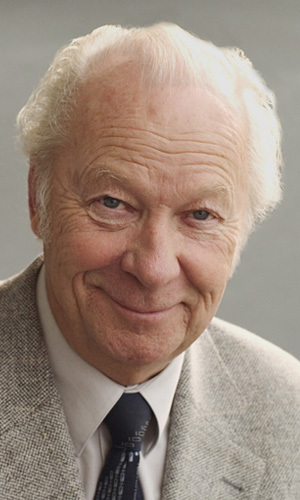 Aulis Sallinen was born in 1935 in Salmi on the northern shore of Lake Ladoga (which the Soviet Union claimed in 1944). His early musical experience was playing the violin. Improvising (including jazz) on the piano led him to write his first compositions as a teenager. After studying with Aarre Merikanto and Joonas Kokkonen at the Sibelius Academy, he joined the staff there. He was Administrator of the Finnish Radio Symphony Orchestra (1960-69); Secretary and member of the Board (1958-73), then Chairman (1971-73) of the Finnish Composers' Society; member of the board of TEOSTO (Finnish copyright society) from 1970-84, then Chairman from 1988-90; he also served for several years on the Board of the Finnish National OperaIn 1983 he shared the Wihuri International Sibelius prize with Penderecki. He is a member of the Royal Swedish Music Academy and Honorary Doctor of the Universities of Helsinki and Turku. The Finnish Government made him Professor of Arts for life in 1981 - the first appointment of its kind, thus making it possible for him to devote all of his time to composing. His extensive catalogue of compositions includes eight acclaimed and distinctive symphonies, the latest of which was premiered by the Concertgebouw Orchestra in April 2004. In addition, he has written some major concert works involving voices, notably the Dies Irae (1978), an apocalyptic vision of our planet destroyed, Songs of Life and Death (1994), an expansive expression of Sallinen's humanitarian creed, and The Barabbas Dialogues (2003), an unconventional, touching medititation on the Easter story.Sallinen is one of the foremost living opera composers, and he has written six important large-scale works in this genre, all of which have been revived on several occasions. The Horseman (1975) and The Red Line (1978) are social dramas rooted in Finnish culture, and played a crucial part in establishing Finland as the world's leading exporter of contemporary opera. The King Goes Forth To France (1983), commissioned jointly by the Savonlinna Festival, the Royal Opera House and the BBC; and The Palace (1991-3) introduce elements of satirical whimsy. However Kullervo (1988) and King Lear (1999), with a libretto adapted from Shakespeare's play, are heartfelt tragedies exploring familial relationships and the bleakest aspects of the human condition. The success of Sallinen's operatic technique is demonstrated by the fact that four of his operas - The Horseman, The King Goes Forth To France, Kullervo and The Red Line - are all receiving performances across Europe as Sallinen enters his eighth decade.Since 2001, Aulis Sallinen has concentrated on writing works featuring solo instruments, ranging in size from the Cello Sonata (2005) to the Horn Concerto (2002). His latest works have been a "Chamber Music" series for a variety of soloists with string orchestra.Sallinen's instrumental works are widely performed - indeed Some Aspects of Peltoniemi Hintrik's Funeral March and Chamber Music III: The Nocturnal Dances of Don Juanquixote have been established as modern classics. The German record label CPO has released a series of seven all-Sallinen CDs, featuring all of his major orchestral works. The music of Aulis Sallinen is published exclusively by Novello & Co. Limited.